Welcome to ThriveYard – The Place for In-Depth Career Success Resources. How Did The Business Idea Start? Thank you for visiting ThriveYard.com – a career website that provides in-depth Career Success Resources including blog articles, infographics, videos and slide presentations. I am honored and glad that you came here. I am passionate about this website and my joy comes from not only providing resources to help someone find a job that they love, but also offering detailed resources to help you succeed in your career. All the resources on this website are written with great love. Welcome to ThriveYard and may you Flourish, Prosper and Succeed in your career. To provide in-depth career advice articles, videos, slides, courses and infographics to help job-seekers find jobs and job-holders grow and succeed in their careers. To passionately contribute in improving the personal and professional development for millions of professionals worldwide. The Place for In-Depth Career Success Resources. 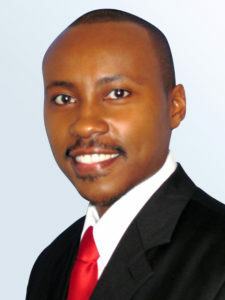 Duncan Muguku is the Founder of ThriveYard.com. As a one-man army, so far, the title “Founder” here simply means the person who juggles multiple roles to keep the company running until such a time when it can afford to hire employees. Duncan’s roles include writing in-depth blog articles, designing website framework, preparing slides, infographics drafts, video concepts, working with freelance graphic designers and website developer, maintaining website, writing eBooks, social media management, marketing, sales, accounting, developing training courses etc. Duncan is a proud husband to a loving wife and proud father of two children. His interests and hobbies include Dreaming Big; Business; Budgeting; Research; Planning Events; Writing Reports; Blogging; Watching Movies; Cooking; Playing Chess; Photography and the Stock Market. His professional background is in Project Administration, Program Management, Contracts Management, Proposal Budget Development, Procurement Management and Grants Management experience. He has worked in various nonprofit organizations and holds an MBA in Strategic Management. A niche search engine for Animal print items in 2015 (AnimalPrintWorld.com). Despite these failures, Duncan still has a burning desire to succeed in business – it is his lifelong dream. He founded ThriveYard.com in August 2016 which is a website for providing in-depth career success resources including detailed blog articles, infographics, videos and slide presentations as well as providing online training courses on career success in the future. Duncan is passionate about helping people succeed in their careers. In the past years he has helped friends and acquaintances to develop resumes and helped with tips on how to find jobs. 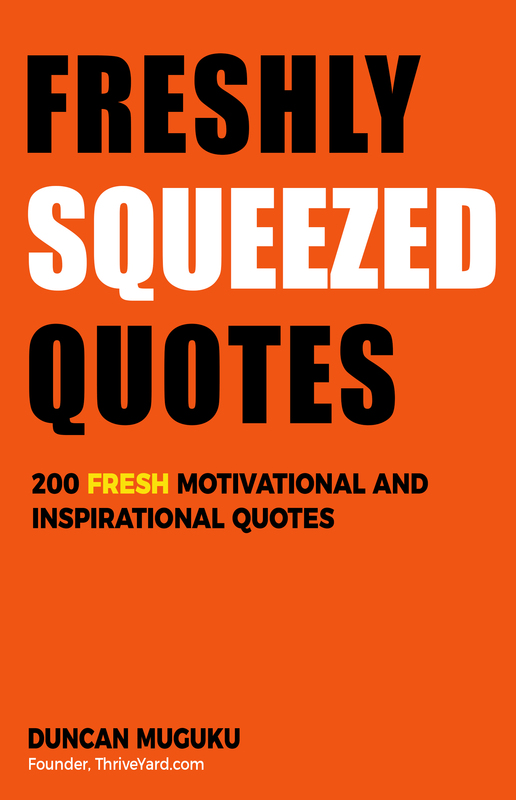 Duncan has written two eBooks – Starting Strong, Finishing Strong and Freshly Squeezed Quotes. 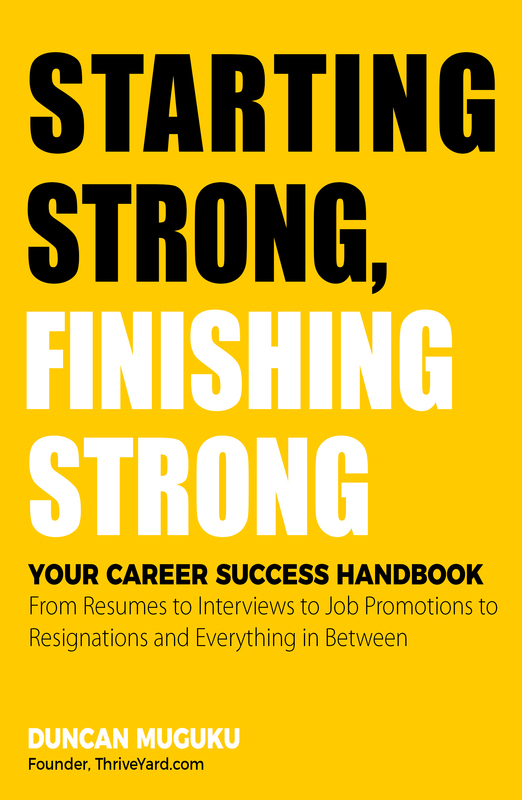 Purchase your EBook that has all of our best career success articles in one volume. Small Beginnings: Duncan lovingly and passionately runs ThriveYard, proudly working part-time from a 13.89 sq. ft. (50 in x 40 in) space in the corner of his basement. The motto is dream big and start small. Here is a visual of what 13.89 sq. ft. looks like – enough space to comfortably fit one desk and a chair. 9. How Did The Business Idea Start? 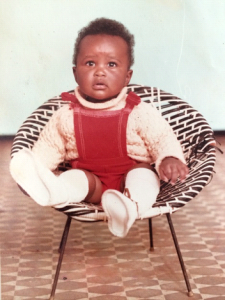 It’s a long and insightful story ……. I worked in nonprofit organizations for 10 years in various capacities including grants management, program management and project administration before resigning from a well-paying job that I loved so much to pursue my lifelong dream of running my own businesses. The original idea was conceived as Dream Spring Group, a parent company for a number of niche websites to help people find Weekend Part-time Jobs, Weekday Part-time Jobs and a search engine concept exclusively for Animal Print items. 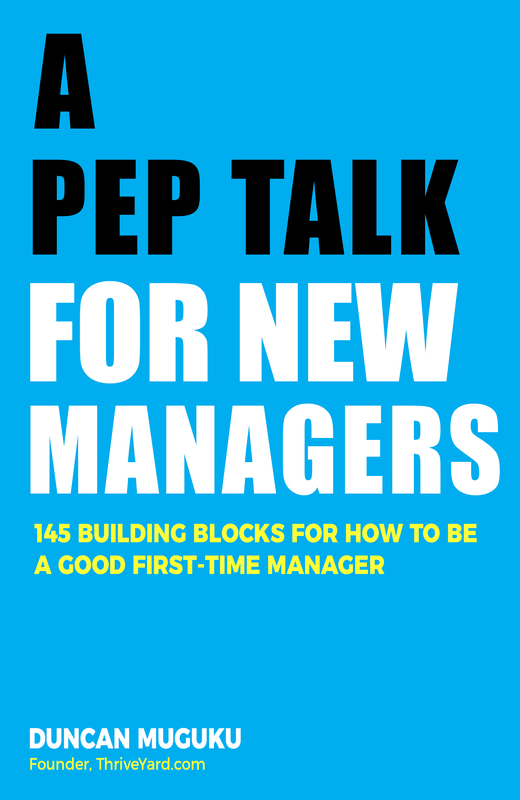 After working on the part-time jobs websites for almost two years (working both part-time and later full-time) and encountering an uphill battle of creating two-sided markets, it became apparent that the chief bottleneck was trying to do too many businesses at once. 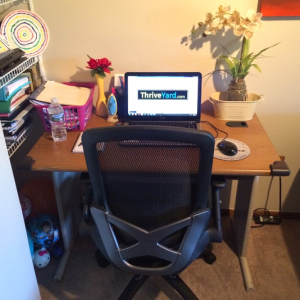 The part-time jobs websites had 2 blogs focused on Personal and Professional Development articles. This was the only silver lining and had started to get traction with 30k views for 41 blog articles over a one and half year period. Upon further analysis, it emerged that seven in-depth blog articles of 1,500 words or more had accounted for 32% of total blog views. The in-depth articles outperformed the short blog posts of 100-900 words. I also immensely enjoyed the challenge of writing the in-depth articles and was excited to see that they were offering value to people. I learnt from my failure and decided to re-focus, scale down, concentrate on one business in a narrow niche and over time slowly build a strong and sustainable company. 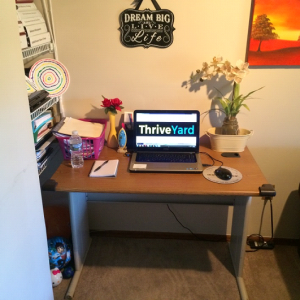 I closed down Dream Spring and founded ThriveYard in August 2016 as a spin-off business from the earlier Personal and Professional Development blogs and work on improving this business component. ThriveYard.com focuses on offering in-depth articles that comprehensively address career growth and personal growth topics. We not only provide detailed blog articles, but also go a step further and supplement the articles with infographics, videos, slide presentations and motivational quotes. Also future offerings include online training courses on career success. ThriveYard is an award-winning career advice website. You can view ThriveYard’s Awards here. For your convenience, each article has a table of contents to help you easily scan/skim the information you need. Enjoy reading these articles. ThriveYard is a career website for in-depth career success articles, videos, slides and infographics to help people get jobs, love their jobs and grow in their careers.